1. Recognize and draw shapes having specified attributes, such as a given number of angles or a given number of equal faces. 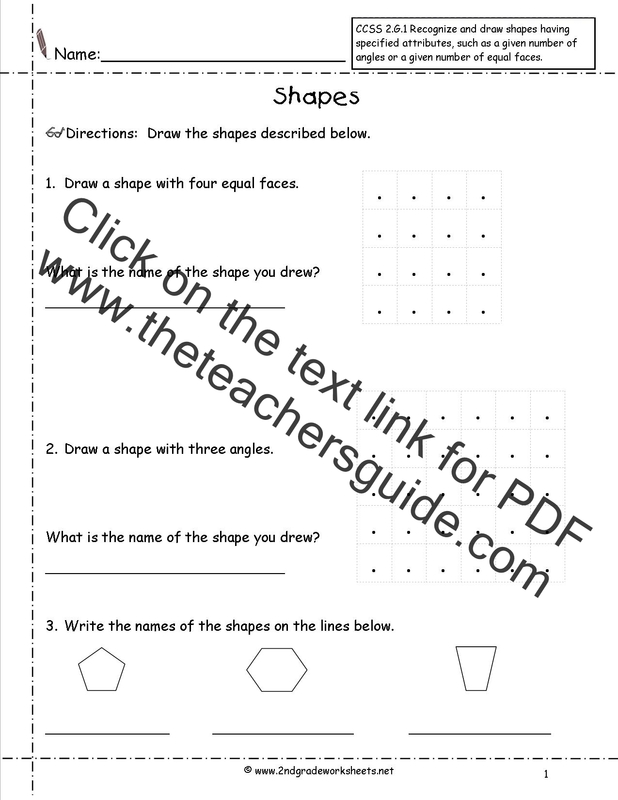 Identify triangles quadrilaterals, pentagons, hexagons, and cubes. Recognize and draw shapes having specified attributes, such as a given number of angles or a given number of equal faces. 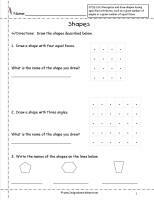 Identify triangles quadrilaterals, pentagons, hexagons, and cubes.